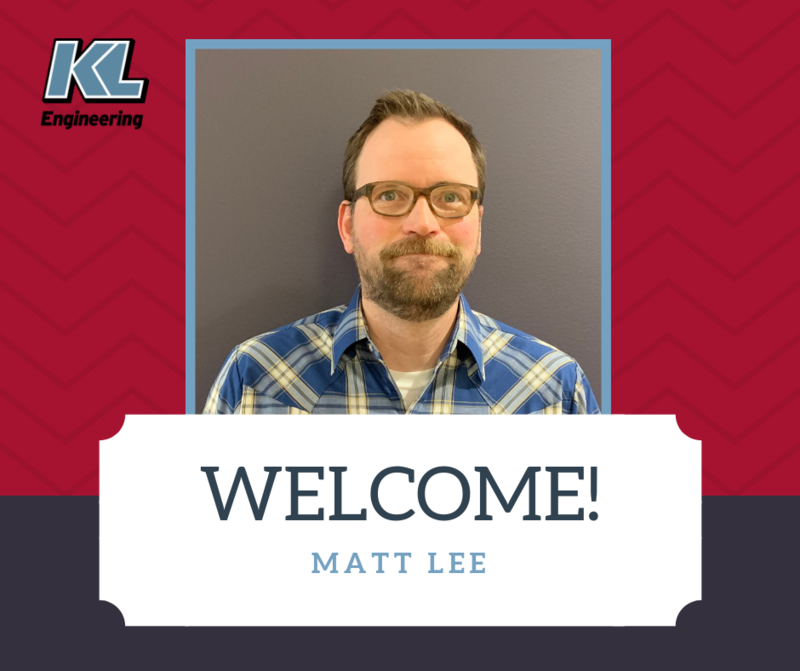 This week we welcomed Matt Lee into our KL Engineering family! 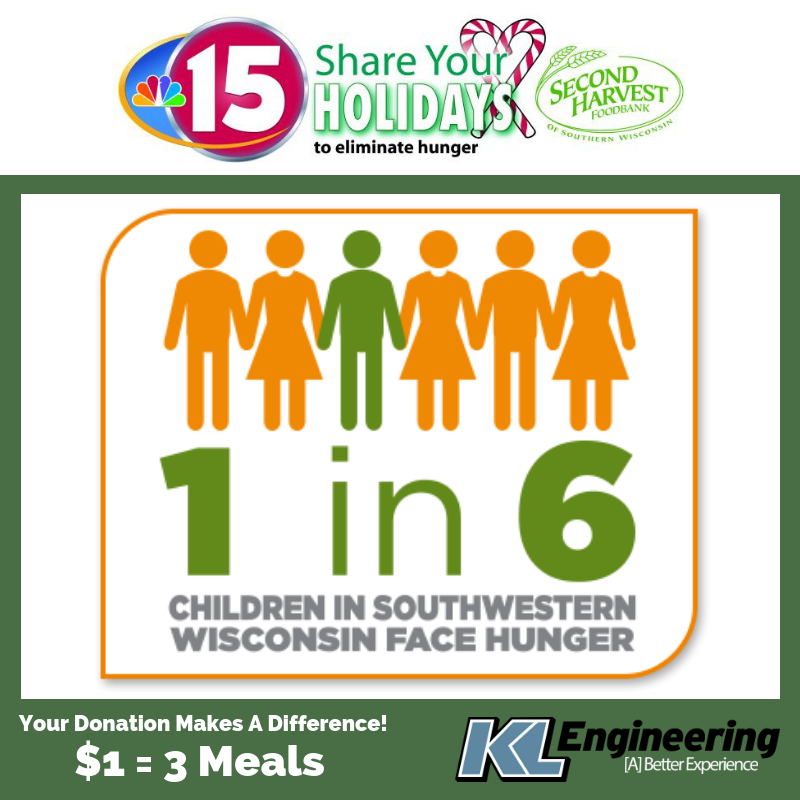 Matt is a Surveyor based out of our Madison office. He brings 10 years of experience to our survey team! We’re excited to have you! 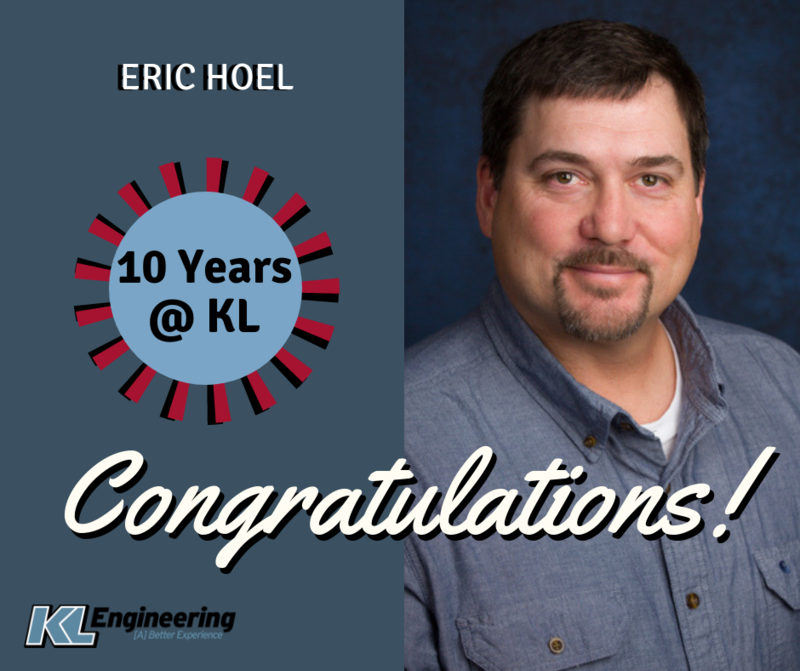 Ryan Schanhofer, PE – 10 Years at KL! 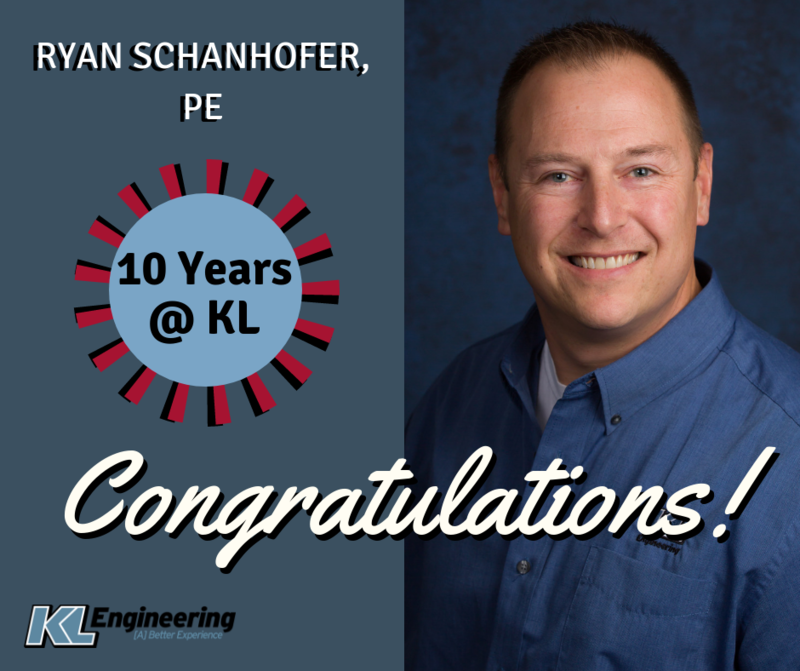 We celebrate Ryan Schanhofer, PE on his 10 year anniversary at KL Engineering! He is our Senior Vice President and has 20 years experience in transportation and construction engineering. 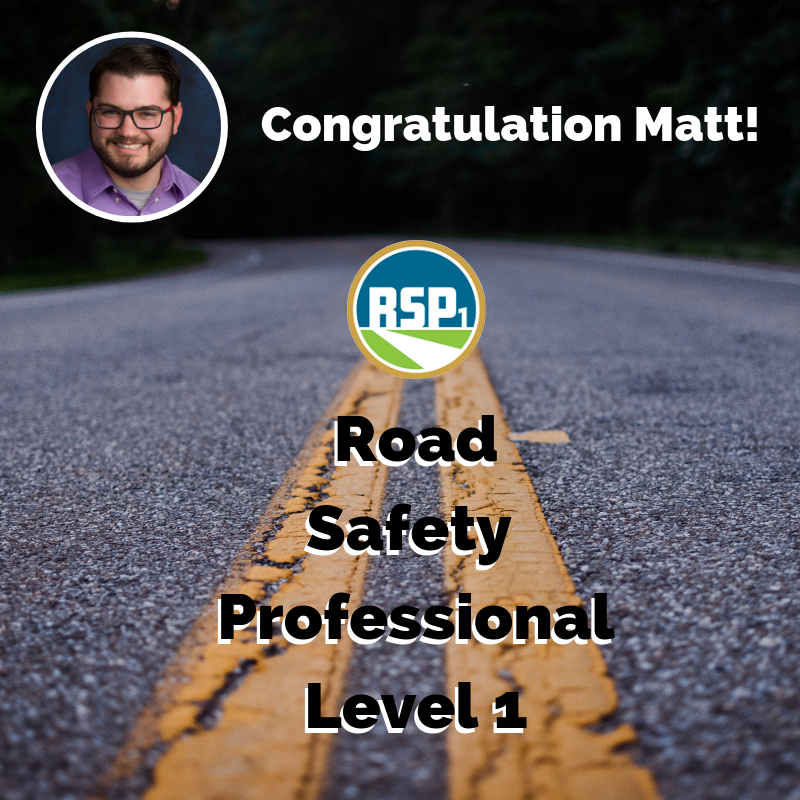 Congratulations, Ryan! We are excited to have Lynda Fink, PLA join our KL Family! Lynda is a Professional Landscape Architect with 20 years of experience in design, construction and real estate. She will be leading our new Parks, Trails, and Recreation department and will be establishing KL’s new Southeast Wisconsin office. 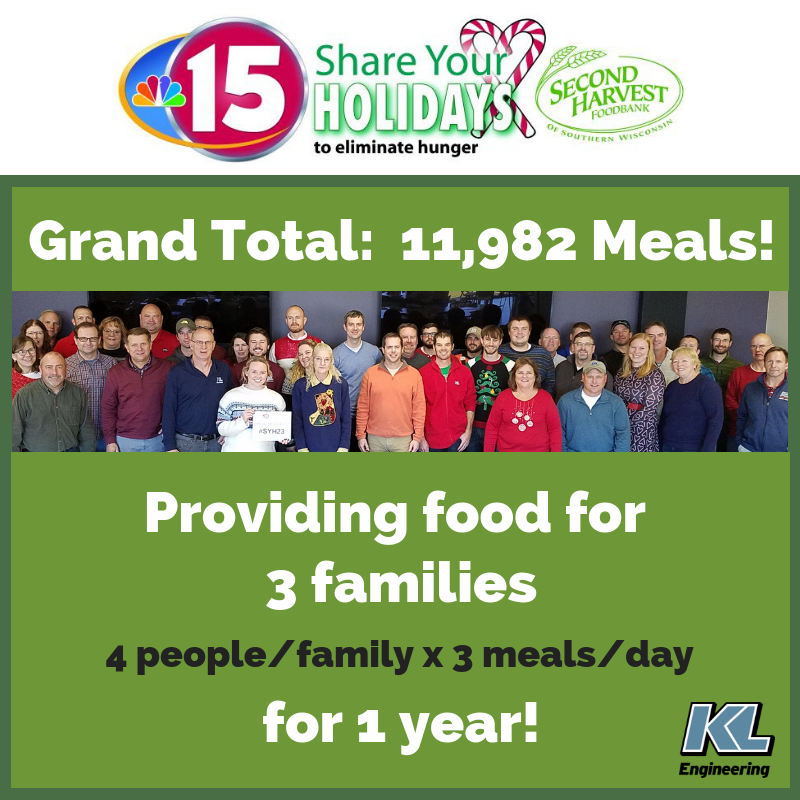 Mike Scarmon, PE, PTOE – 15 Years at KL! 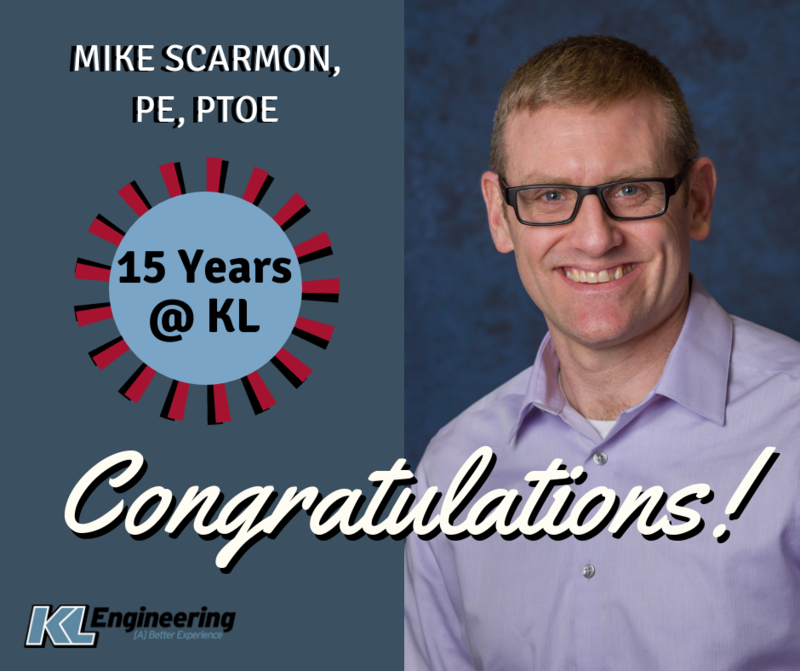 We celebrate Mike Scarmon, PE, PTOE on his 15 year anniversary at KL Engineering! 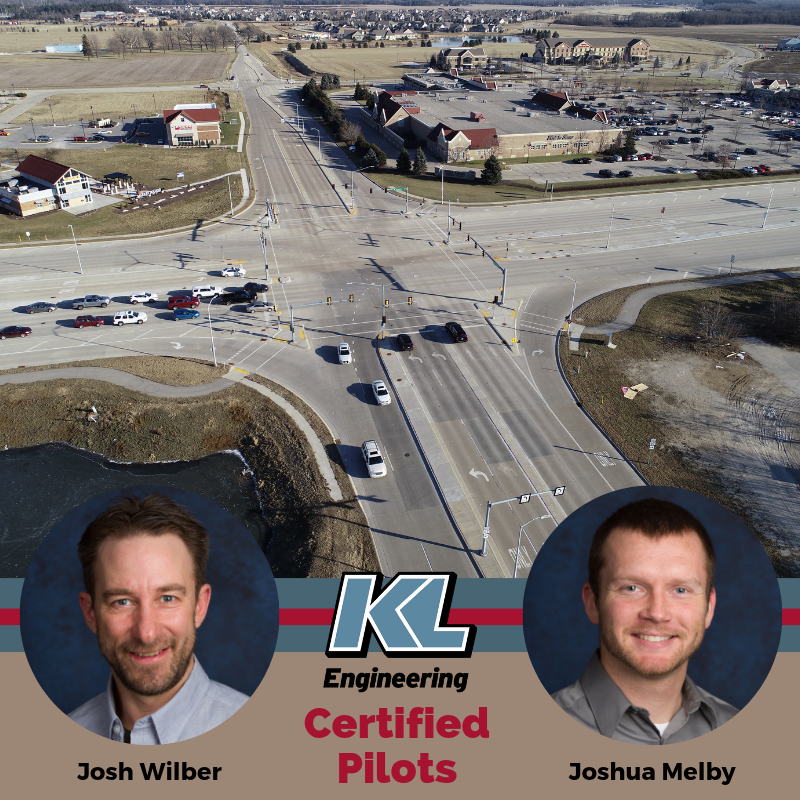 He is a Senior Project Manager and oversees our Traffic Engineering department. Mike has 18 years experience in transportation design and works in our Madison office. Congratulations, Mike! Gerry Schmitt, PE – 20 Years at KL! 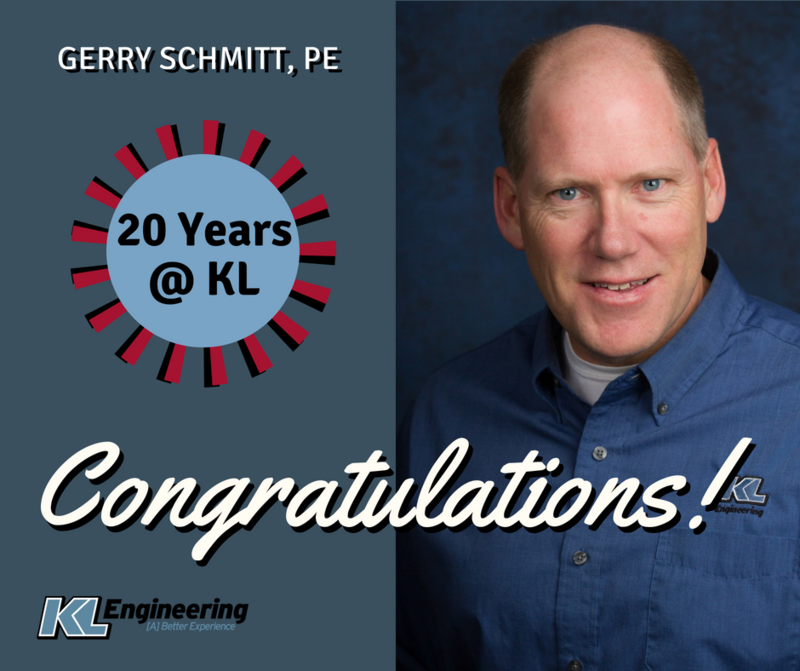 We celebrate Gerry Schmitt, PE on his 20 year anniversary at KL Engineering! He has 30 years experience in transportation design and is the Vice President of Planning and Survey Services in our Madison office. Congratulations, Gerry!